If you have any questions or want to enquire about dates, use our form to contact Sue Soar or see their website for more information. 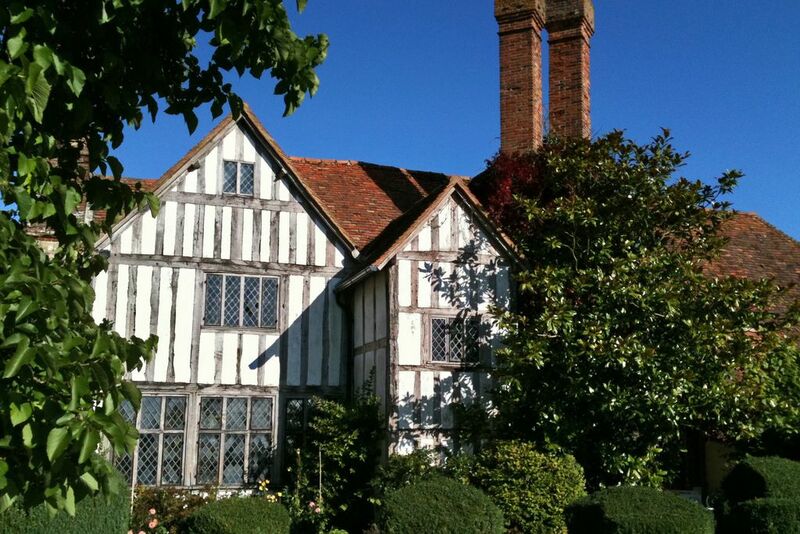 Masses of history and oodles of character at this timbered listed house with high chimneys, dating from 1187… no wonder film companies are keen to get through the arched entrance and into the courtyard! The vast dining room is a dramatic setting for breakfast: sausages from Sue’s pigs, home-baked bread, plum and mulberry jam from the gardens. Windows on both sides bring light into the fire-warmed drawing room with leather sofas, gleaming furniture, family bits and bobs, pictures galore. Sleep soundly in comfortable, country-house style bedrooms (one with gorgeous yellow panelling). Peaceful. Supper £30. Pubs/restaurants 3-minute walk. A wonderful place, interesting and special no matter what the weather. The room was fantastic, very relaxing, our hosts were friendly and helpful. Breakfast was superb and kept us going until tea time. A great base for seeing Oxfordshire/Bucks. Would definitely stay again. Walk down Long Crendon's winding High Street and admire the plethora of thatched cottages, the Norman Church and The National Trust's Court House.. Drop into one of the low-beamed pubs for a local cider or some delicious food at one of several hostelries. Oxford's dreaming spires are a bus ride away. Wander round The Ashmolean Museum and the colleges. Take a punt on the river, see Christchurch Cathedral, the Botanical Gardens and Oxford Castle. Waddesdon Manor is under 10 miles away. Stowe and Bletchley Park, Blenheim Palace and Hughendon Manor are all accessible from here. If your taste is for shopping: Bicester Retail Outlet Centre is just up the road or you can catch a train at our local station and be in London in under an hour.